It all started in 1983 by visionary founder Sharad. N. Patel with only 200 Rs available at his disposal, under the guidance of his mother he created a perfect spice blend. Our vision is to provide every household with the best quality spice blend created using our original technique to develop the traditional taste. 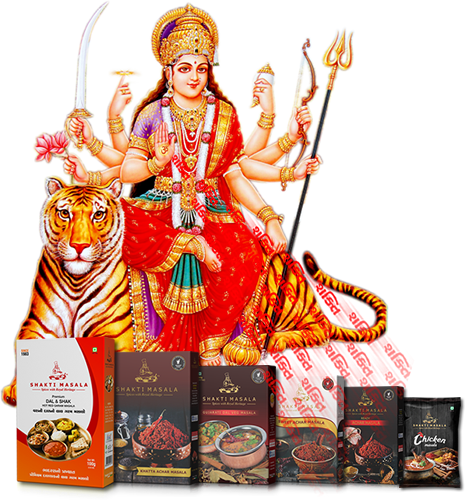 OUR GOAL: To take the company products at every home, to get people talking and introduce them to a real spice blend with royal heritage( India-Land of spices). To create a brand value and increase our customer base. OUR MOTTO: Heritage, Quality, Loyalty, Customer service. 1. We have unique product line: Gujarati Dal Veg, Dark Garam Masala. 2. We only carry premium quality products, right from the scratch. 3. Our process are clean, hygienic, safe and traditional. 4. Our spice blend is rich in heritage, aroma and delicacy. 5. Excellent customer service and brand value is our motto. Our unique selling proposition is Gujarati Dal Veg Masala. None of the other brands have this flavor in spice market. Our spice blend has a unique flavor, ecstatic aroma and wonderful texture.